"What is most important is that every aspect of this design emerges from the realities of the park's surroundings—the waterfront, the Statue of Liberty, the rest of Battery Park City and lower Manhattan—and connects to the imperatives of human use." 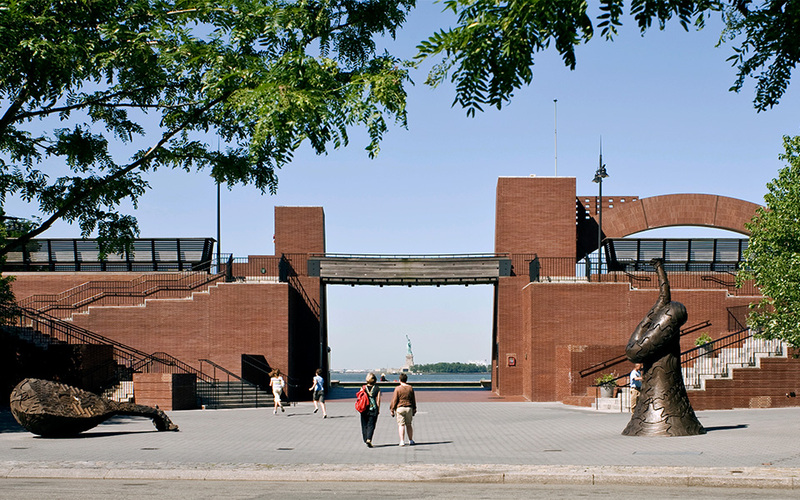 n the southern edge of Manhattan, the Robert F. Wagner, Jr. Park sits amongst giants. The Park, with its brick pavilions, framed lawn, and sweeping views of New York Harbor and the Statue of Liberty, has remained a popular public space for locals and tourists alike for over twenty years. Where more modest or conventional parks would be overshadowed by the colossal surroundings, Wagner Park offers a space exclusively reserved for the public that stands apart from, but also very much a part of, the City. 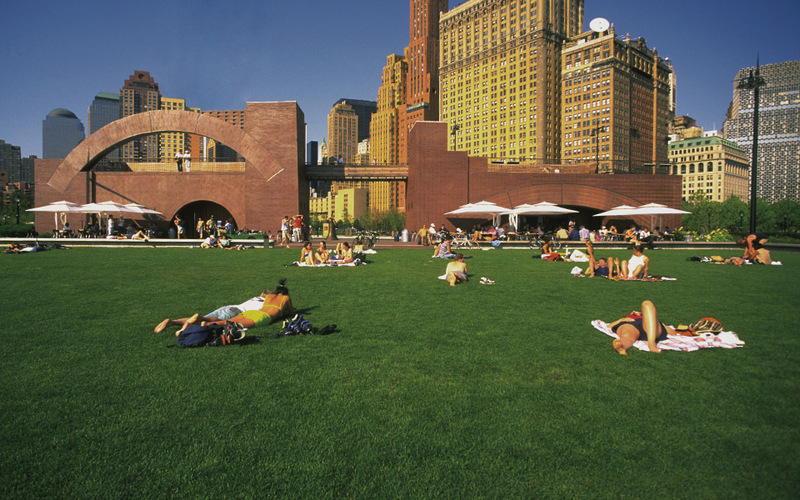 The main function of Wagner Park—in fact, the reason for its existence—is to provide the public with a dedicated space for rest and relaxation. In its unique setting, the cultural significance implicit in such a space is amplified by the privileged viewing the Park’s site affords of the Statue of Liberty from across New York Harbor. This visual relationship, between monument and park, determines an axis that serves as the organizational backbone for the Park’s design. 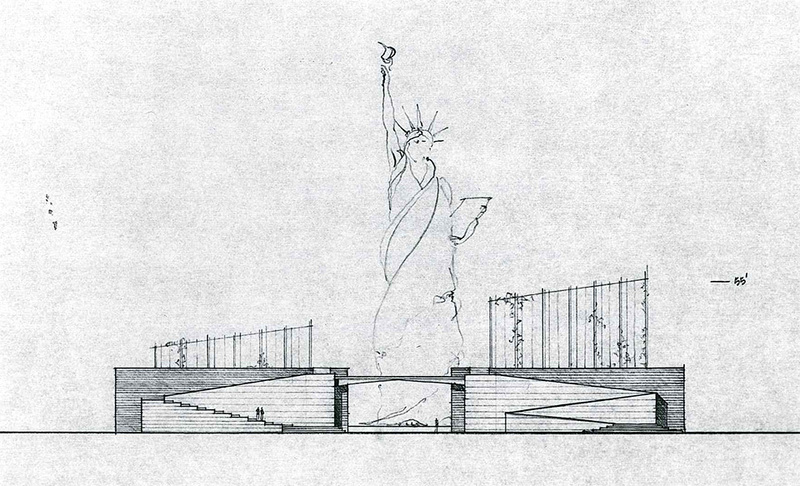 Upon this backbone, three main components are laid out in a “Y” shaped ensemble: a pair of garden allées that bring pedestrians from existing city sidewalks toward the main park entrance; a pair of pavilions suggestive of a colossal scale that frame the view of the Statue; and a grass lawn framed by a continuous path and benches. 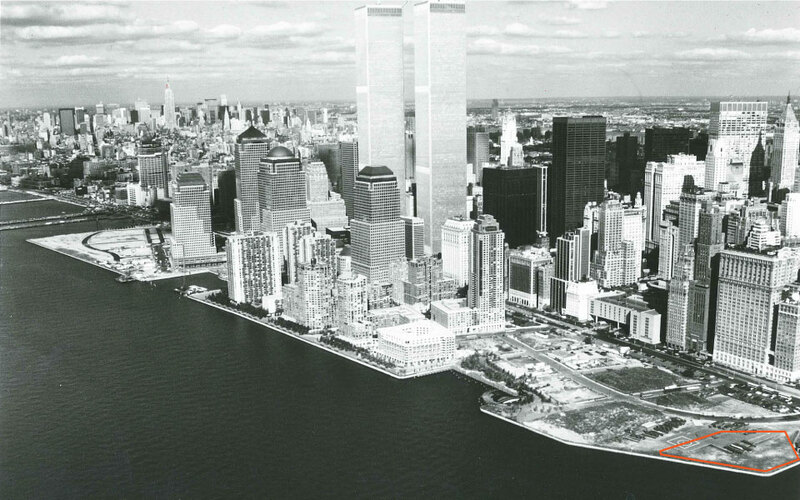 The project was awarded to a team including Machado and Silvetti Associates, Landscape Architect Laurie Olin and Horticulturist Lynden Miller in 1992 by David Emil, then President of the Battery Park City Authority. Emil’s selection of this team followed the advice of the late Walker Art Center curator, Mildred Friedman and New York Times architecture critic, Herbert Muschamp. Wagner Park, sited upon landfill sourced from the excavation of the World Trade Center site, was meant to serve as an anchor to the recently developed neighborhood of Battery Park City. At the onset of the project there was no established program, just the need for some perfunctory facilities—bathrooms and maintenance storage—and a suggested space for a small café. 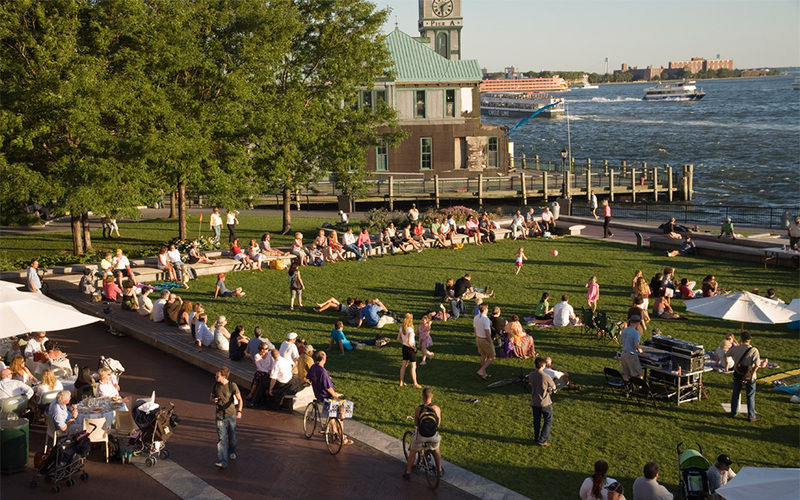 The primary challenge in designing a Park for the small urban site was to elevate its presence as an important public space in the context of the City and Harbor. The team knew at the outset that to stand out, the site needed something significant, something with a colossal bearing. The conceptual evolution of Wagner Park can be understood in part as a process of architectural and conceptual abstraction. 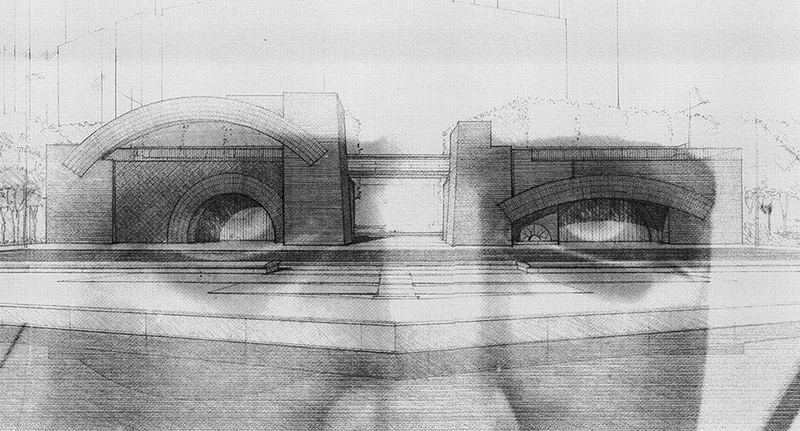 The process begins with a prototypical Roman temple expressed in plan, dedicated to the Statue of Liberty; through a series of architectural redactions, the temple is abstracted to become the expression of its core iconographic qualities and principles. Imprinted upon the pavilion is the form of a half-buried colossal face. Brick patterns are used iconographically to “paint” this facial condition—Manhattan’s own colossal monument—that looks back at the Statue of Liberty¬. The inspiration for embedding this colossus within the park comes, in part, from Machado and SIlvetti’s trips to the ancient Greek colonies of Sicily. 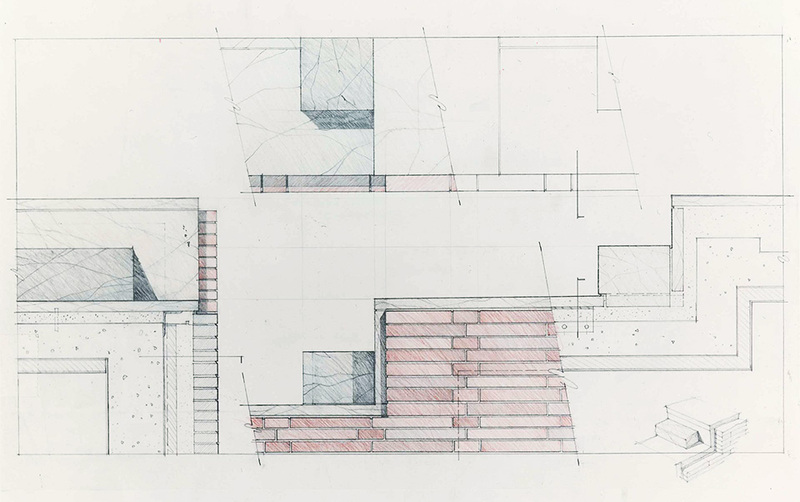 Separate from the conceptual dimension of the design, the construction methods and materials used in Wagner Park, especially those used for the pavilions, served both as a purposeful connection to the past and critique of the present. 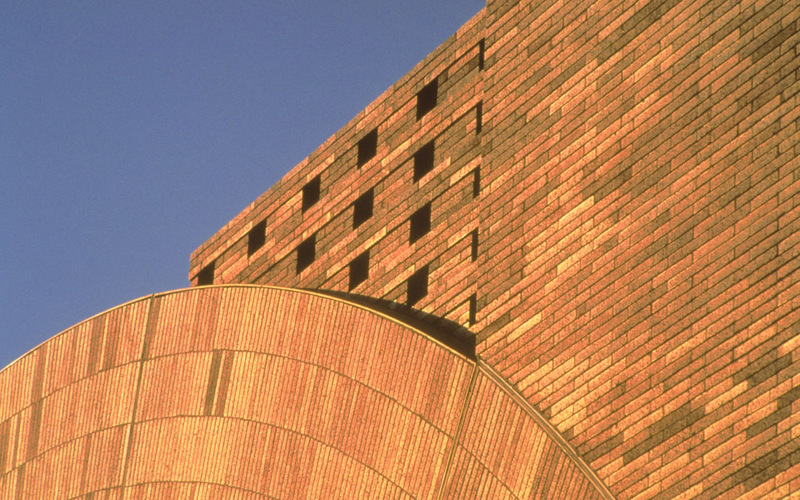 The use of brick in the pavilions is an intentional allusion to the East River bridges of lower Manhattan, and the massive masonry of the pylons and foundations that define these iconic bridges. 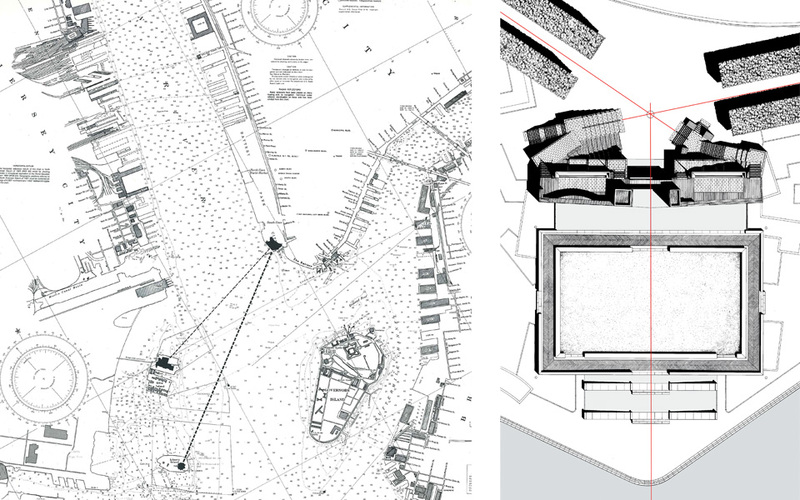 This choice of materiality relates the scale of the Park pavilions to the massive scale of the surrounding infrastructure, while also taking part in the shared material language and history of Manhattan. 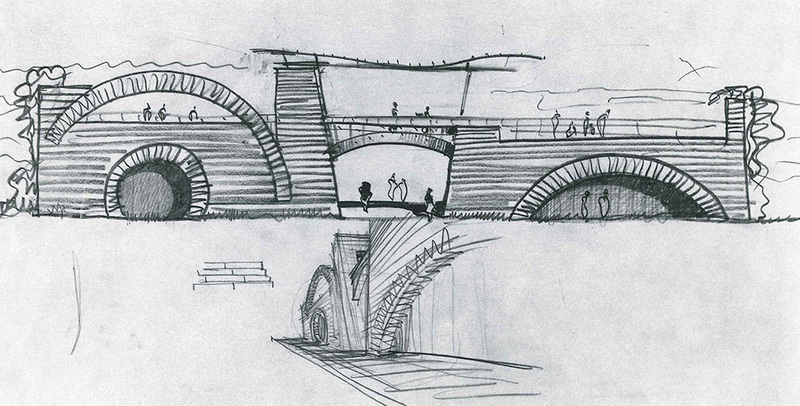 The design and construction of the pavilions called for working with multiple exquisite patterns of Roman masonry. The use of these ancient techniques of brickwork was intended to sharply contrast with the poor-quality of construction in the area at that time and highlight the potential of a renewed commitment to the historic and future resiliency of expert craft in construction. Wagner Park, with its materiality suggestive of a colossal scale, form evocative of a literal colossus and layout conceptually rooted in the Roman temple typology, manages to remain intact as a public space, undiluted by the looming pressures of the surrounding city. And it is because of this persistence of presence that Wagner Park is so successful as a public space.